Lately, we’ve struggled to get our two-year-old son to eat his dinner. He’s at that super-fun toddler stage where he wants to eat the *exact* same thing every day. 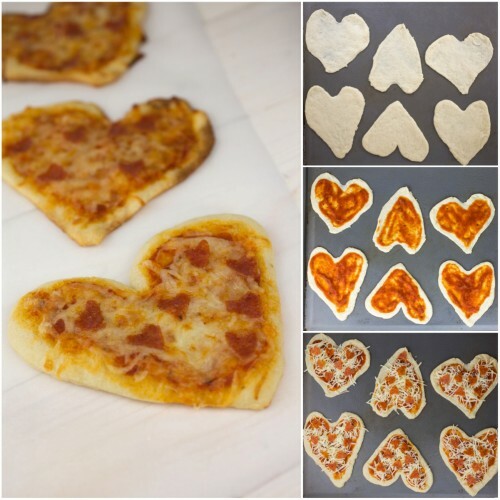 But when I made these Mini Heart Pizzas for dinner last week, he was really excited. He kept yelling, “HEART!” and pointing at his plate. 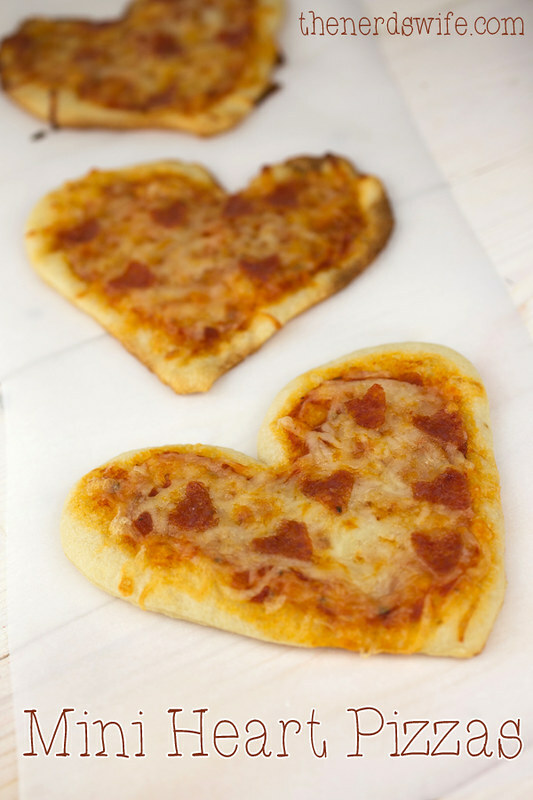 If you’re looking for an easy, fun was to incorporate Valentine’s Day into dinner, these single-serving pizzas are the perfect way. Preheat oven to 400 degrees F. Spray a large cookie sheet with nonstick baking spray. 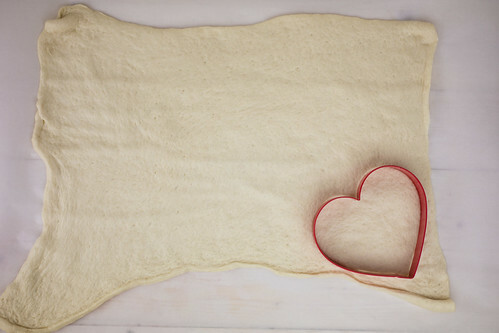 Roll out pizza crust dough on wax paper and use the large heart-shaped cookie cutter to make heart outlines into the dough. 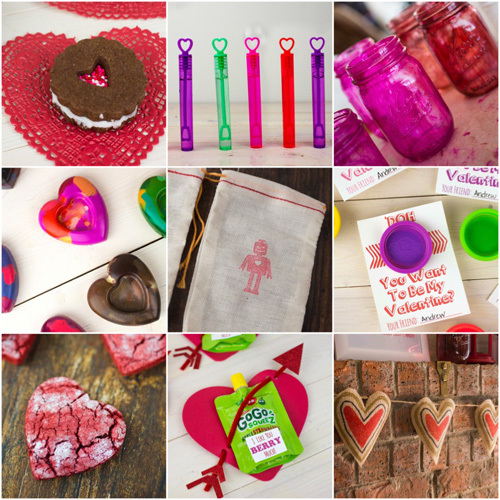 Run a sharp knife along the outlines to cut out the hearts. The dough is *very* sticky and will stretch easily. Try to keep it from stretching as much as possible. 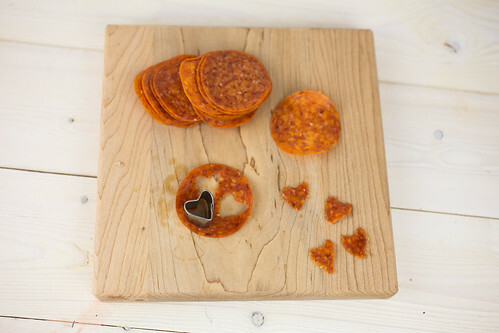 Using the small heart-shaped fondant cutter, cut out tiny hearts from the slices of pepperoni. 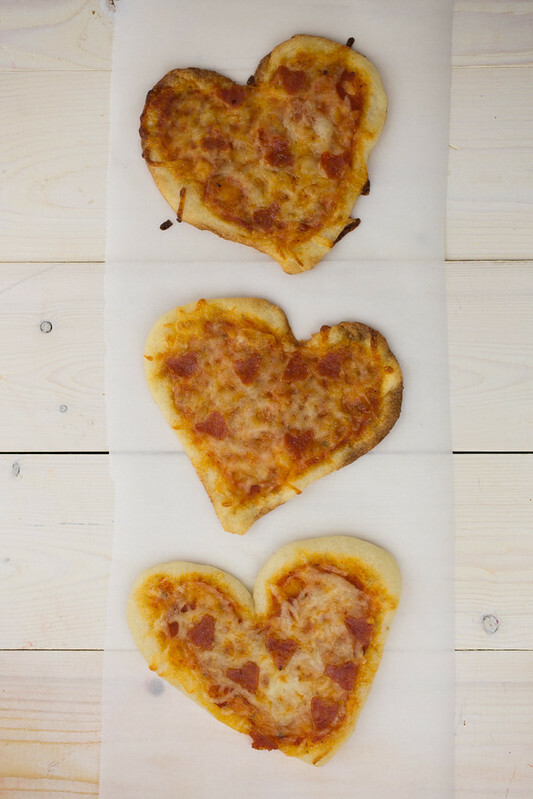 I was able to get three hearts out of each regular-sized pepperoni slice. 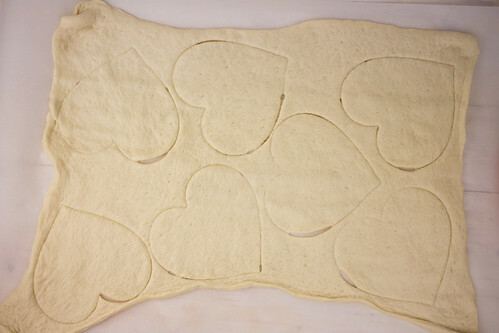 Place the heart cutouts onto the baking sheet and spread pizza sauce on them. 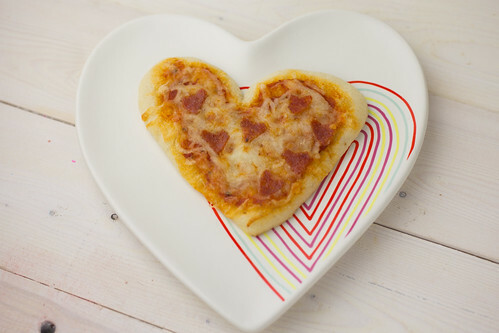 Then, layer on an ample amount of shredded cheese and finish with the pepperoni hearts on top. Bake for 5 to 8 minutes, until the edges of the crust are golden brown.